This campaign ended on November 18, 2018, but you can still make a gift to The Awty International School by clicking here! Generate 10 or more donations and you will receive an Awty International School Car Windshield Sun Shade! Help us raise $100,000 this week for The Awty Annual Fund! All of this is what makes Awty Houston’s premier choice in international education! 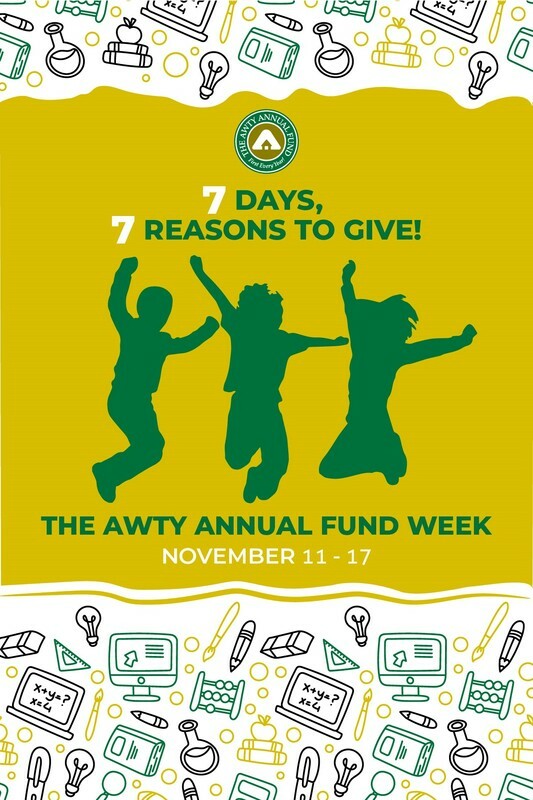 Awty Annual Fund Week will run from Sunday, November 11 until Saturday, November 17. Each weekday, we will feature one of the many areas directly supported by The Awty Annual Fund. Help us reach our annual objective of raising $1.1 million for our deserving students, faculty, and staff!